Steelers fan heaven at Hells Point! 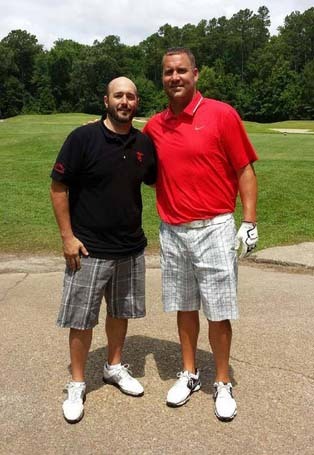 During Ben’s family vacation to VA Beach this month, he found time to play his second favorite sport – golf, at the beautiful Hells Point course. 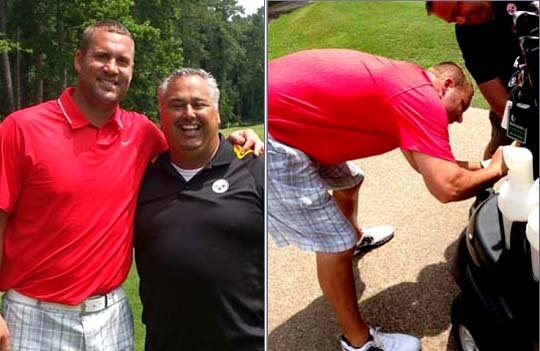 “My friend and I had the pleasure of meeting Ben at one of Virginia Beach’s golf courses, Hells Point. The pace of play was a little slow due to a small tournament that was ahead of both of our groups and we crossed paths around the fifth hole. What can I say, It was a huge pleasure meeting with him. My friend Jimmy Banicar and I approached him casually and said we were both big fans and we just wanted to meet him. Ben was not only inviting, but he seemed very appreciative of our approach. *Thank you Bryan and Jimmy!